First of all, a huge thanks to all of you for stopping by to have a look at the exciting goSmart Lighting range during the 2018 HIA Melbourne Home Show. This was now the second time goSmart Lighting was showcased at the Home Show in Melbourne. The level of interest was even stronger than 2017. Public awareness of this breakthrough technology is increasing steadily. The Home Shows provide us the opportunity to share our products to new home and home renovator market. Each one of you were impressed by how much bang you get for your buck from these Smart LED Lights, with colour change and dimming functionality on each and every light. And all of this for only a marginal price differential to conventional LEDs and wall dimmers. Smart Remote Redesign – Our Smart Remote is currently undergoing a facelift, all the internal technology and functionality remains the same, only the exterior skin gets the makeover. The new design is more slimline than the current Remote. Expect this to be available within 4-5 weeks. Intelligent Switch – For those using the App to control Smart Lights, here is a new way to easily control a zone or scene. The switch includes four soft press buttons. Each button can be matched to a light group or a scene in your App. If for example you have a scene called ‘TV’ that turns on some areas and turns off all other areas, instead of using your phone to execute the ‘TV’ Scene, you now have the option to use this wall mounted ‘wireless’ Intelligent Switch. Smart Sensor – For those looking for a hands free option, this might be for you. 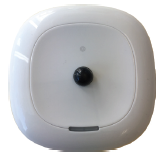 This Passive Infra Red Sensor can be matched also to a lights group or a scene in your App. Unlike traditional wired sensors, this wireless sensor can be matched and re-matched to any group at any time. If you want some lights to come on as you enter the house, you simply match this sensor control to the group of lights you want to control. As more new products come on-line, we will let you know via this email twice per year. If you don’t wish to receive the emails, just let us know. At 5pm on Sunday April 8 2018, the lucky winner of the G-Smart Starter Pack was drawn. 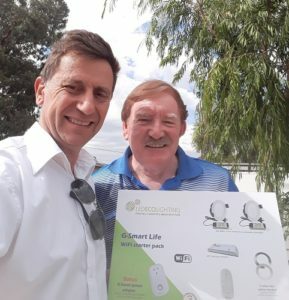 Alan of Gladstone Park was thrilled to hear that he was the winner of the G-Smart Starter Pack. What continues to be clear to us is the massive task we have in front of us to inform and educate our colleagues in the construction industry relating to the recent advancements in home lighting control. For the very first time, state of the art lighting automation can be easily added to any new home build or home renovation project with no impact to the installation process or schedule and minimal impact on the budget. A number of you asked us how best to request your selected builder to include goSmart Lighting Products within your upcoming project. Many builders may assume an increased level of building complexity is required as with other home automation solutions. If you would prefer us to talk to your builder for you, just let us know your builder’s name, email and telephone number. For large volume builders, also include your primary contact, so we can ensure we talk to the right person within these large organisations. If your volume builder would prefer to meet us directly and to see the products demonstrated in person, Geoff is able to conduct demonstration meetings with your builder as required. Send requests to sales@goSmartLighting.com.au to confirm an appointment. Most new homes are designed with excessive lighting! 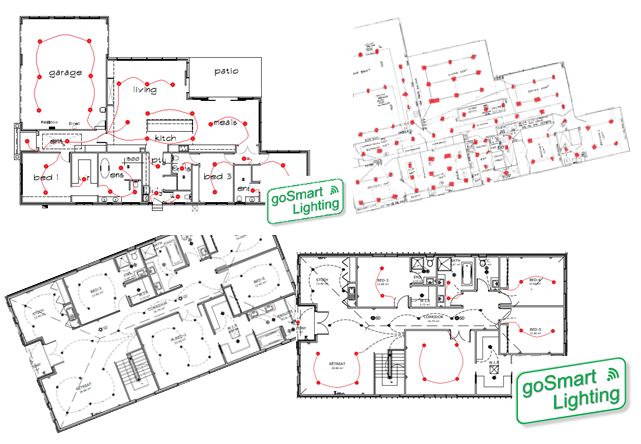 Over the last six months, goSmart Lighting has provided a number of clients a lighting design based on the new Smart Lighting product. In every single case, the number of lights required reduced between 25 and 50 percent!! Anyone building or renovating should rethink the number of light fittings required now high powered LED lighting is available. As promised at the show, you will find attached our goSmart Lighting Residential Lighting Guide 2017v3.0 as used at the Melbourne 2018 Home Show. If you are still at the planning stage, you now have a guide to assist you to determine the number of smart lights we recommend in a given living space. If you would like us to confirm the lighting design you have developed using the guide is correct, simply email your updated lighting design to sales@goSmartLighting.com.au. As promised at the show, you will find attached our goSmart Lighting Price List, House Lot Price Guide and Price Comparison table as used at the show. The pricing included is Trade level pricing including GST which is approximately 13% less that the Recommended Retail Price. We appreciate that you will involve a qualified electrician to install your new goSmart Lighting Products and as a consequence we have decided to provide our products to the general public and the people in the trade at the same pricing level. So, no matter if you purchase directly from us or you request your electrician to purchase, you can be assured the selling price will remain constant. 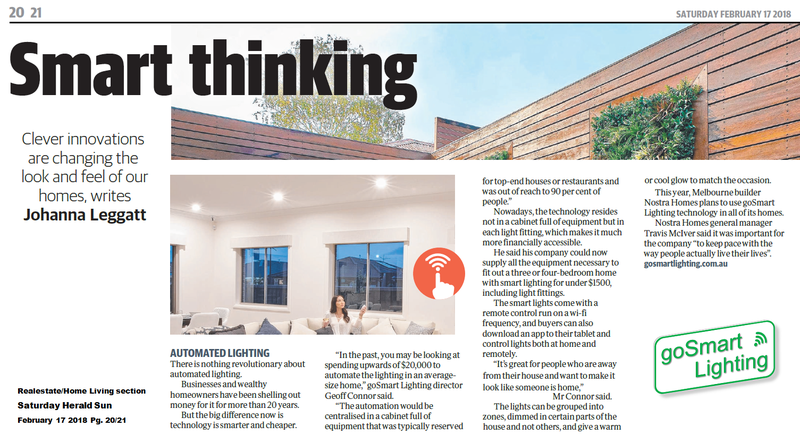 A recent article included in the Herald Sun talking about all things Smart at home. Many thanks again to all from the goSmart Lighting Team.